Which county has seen the biggest increase in new car registrations this year? The industry is picking up, but employment remains some level off the boomtime peak. 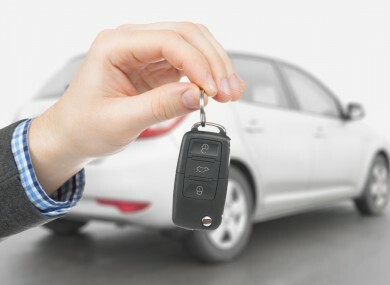 THERE HAS BEEN an increase of over 50% in the amount of cars registered so far in 2014 in County Leitrim, according to the Simi/DoneDeal quarterly motor industry review. The county only accounts for a tiny 0.44% of the total amount of registrations, with Dublin accounting for the largest amount of registrations at 38.25%. By gross figures, Dublin is outpacing the rest of the country with 25,164 registrations so far this year. The closest competition comes from Cork, where there have been 8,372 new cars registered. However, the capital and surrounding county has only seen a 14% increase in new car registrations, placing it at the bottom of the county list. This compares to a 23.4% jump nationwide. 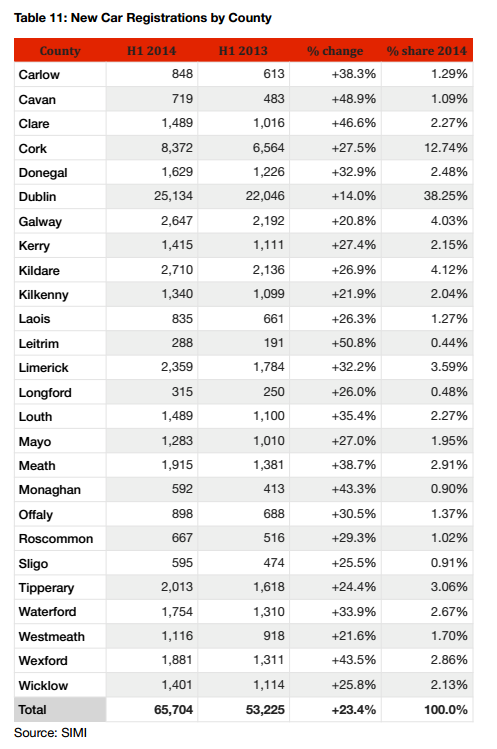 Cavan is joined by several other smaller counties at the top of the table, with Wexford, Monaghan, Cavan and Clare also posting levels more than 40% higher than in 2013. Growth was sluggish in Westmeath, Kilkenny and Galway, all of which saw growth levels of less that 25%, as was the case in Dublin. The overall number of new cars registered has jumped from 53,225 to 65,704 this year. 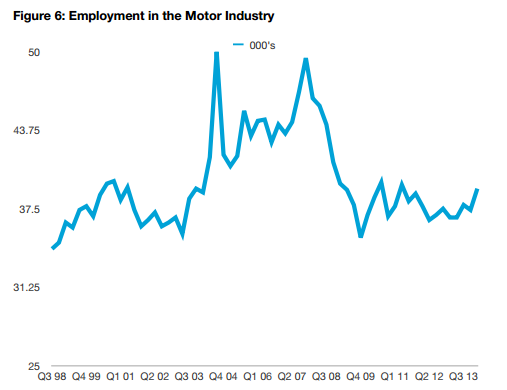 While employment in the motor industry is some way off the peaks seen in 2006 and 2007, the recovery in the sector has seen an additional 2,300 people employed in the sector compared to the first quarter of 2013. Economist Jim Power, who compiled the report, said that it shows that the outlook for the motor industry is continuing to improve. Simi director general Alan Nolan said that stability from the Government is key to locking in recovery in the sector. Email “Which county has seen the biggest increase in new car registrations this year?”. Feedback on “Which county has seen the biggest increase in new car registrations this year?”.